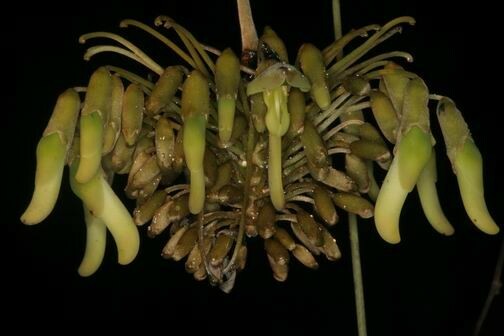 Dermanura phaeotis visiting inflorescences of a small palm tree - batlabs Jimdo-Page! 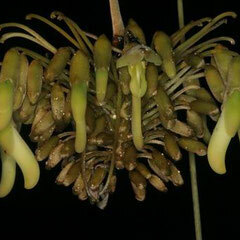 In Costa Rica, fruit-eating Dermanura phaeotis provide pollinating services for the palm Calyptrogyne ghiebreghtiana. 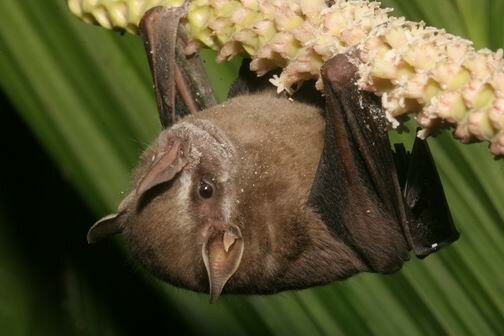 Bats eat the male and female corollas and by doing so they transfer the pollen from male flowers to female flowers. 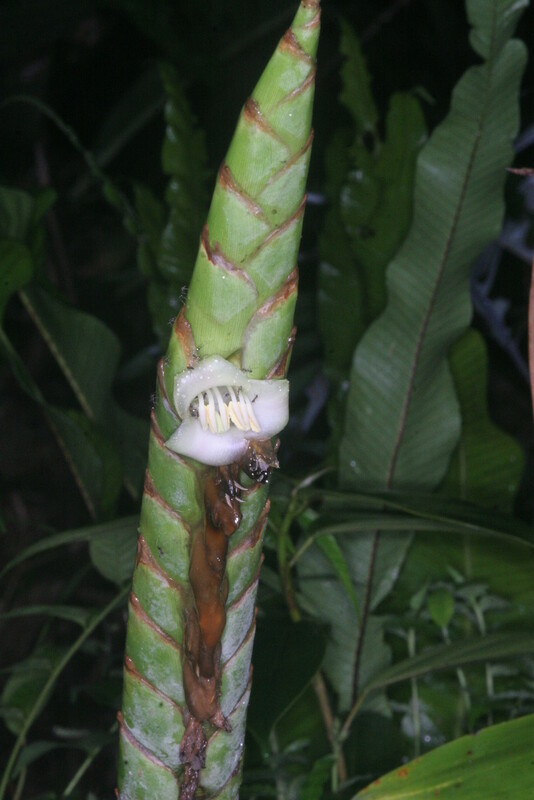 True nectar-feeding bats, such as Glossophaga commissarisi are inappropriate pollinators for this palm, since they do not land on inflorescences but rather hover in front of them; thereby not touching the pollen or stigma. 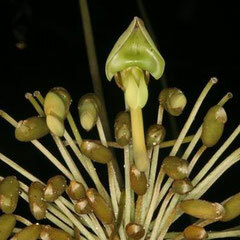 In the neotropics, flowers of the vine Mucuna holtoni are pollinated by nectar-feeding bats such as Glossophaga commissarisi. 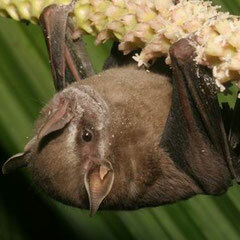 For this, bats land on the flower, stick their snout into a central part of the flowers and then take up the sugar reward. In the meantime, the flower is depositing pollen on the dorsal part of the tail membrane, a region that is hard to reach for the bat; an ideal place to deposit pollen! 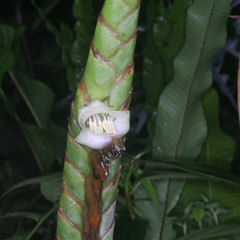 The two pictures shows an inflorescence from below and the side, one of the flowers is ready to get pollinated (central one). Slow motion video showing how a bat lands on a flower, the pollen is deposited via a quasi-explosive mechanisms by throwing the pollen on the tail membrane of the bat. Some of the pollen drops to the flower, but most of it sticks to the fur and tail membrane of the bat. 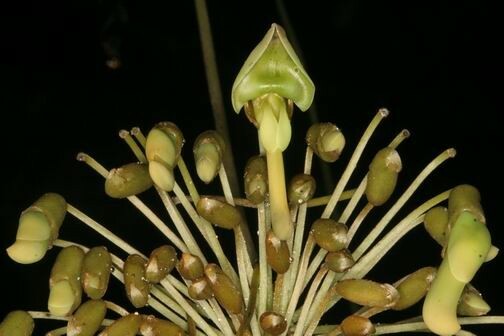 Plants of the Neotropical genus Piper are key species for the regeneration of forests. Short-tailed fruit bats (genus Carollia) are the main dispersers of seeds and thus ecosystem services provided by these bats are crucial for the natural succession of forests or logged areas. Slow motion video showing an approach flight of C. sowelli towards an unripe infructescence. After discovering the odd taste, the bat switch to the ripe infructescence. 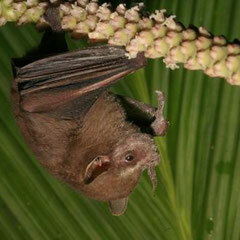 Nectar-feeding bats pollinate hundreds and thousands of plants in tropical and subtropical areas. 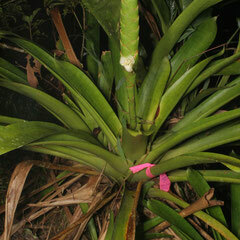 In Costa Rica, Glossophaga commissarisi visits flowers of the bromeliad plant Werauhia by hovering in front of them. 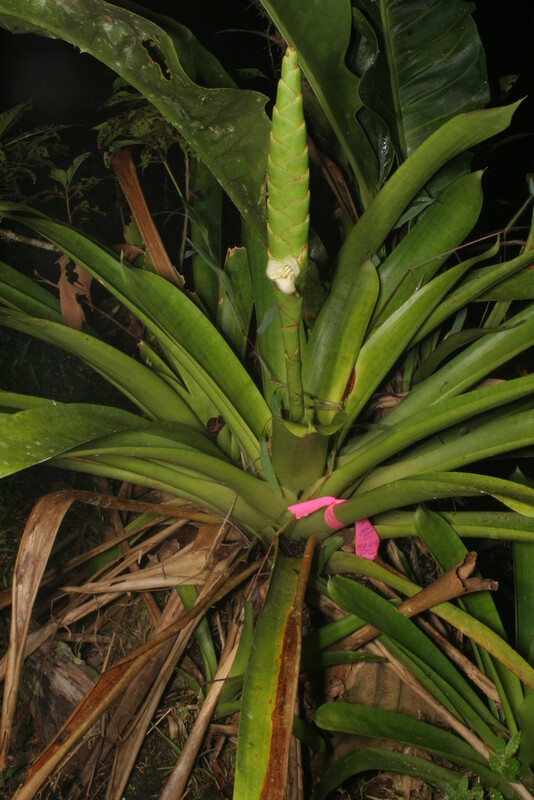 Slow motion of a Glossophaga bat approaching the bromeliad and finally visiting the flower. 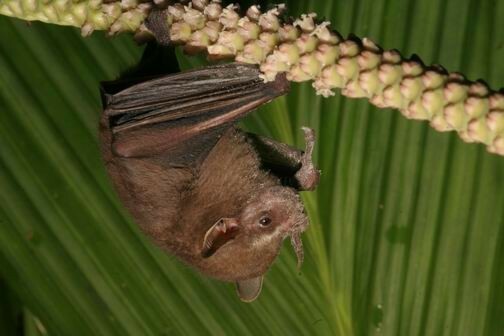 Insect-feeding bats are consuming vast quantities of insects each night. The videos show Myotis albescens hunting for a mealworm that it was trained to pick from a line. Approach phase of Myotis albescens towards a mealworm hanging on a line from the ceiling.